In a perfect world, all employees could visualize the business process in which they work. They would create their work, coordinate activities and manage interfaces, be very proactive, quickly deliver products or services to their internal and external customers, and produce right the first-time work. The world, however is not perfect. Almost all organizations are structured and managed through functional departments (for example, sales, marketing, engineering, manufacturing, etc.). Within each functional department are well-educated, well-trained, and highly motivated managers and employees—good people who know the business. Such a functional structure reduces a complex environment to manageable units. 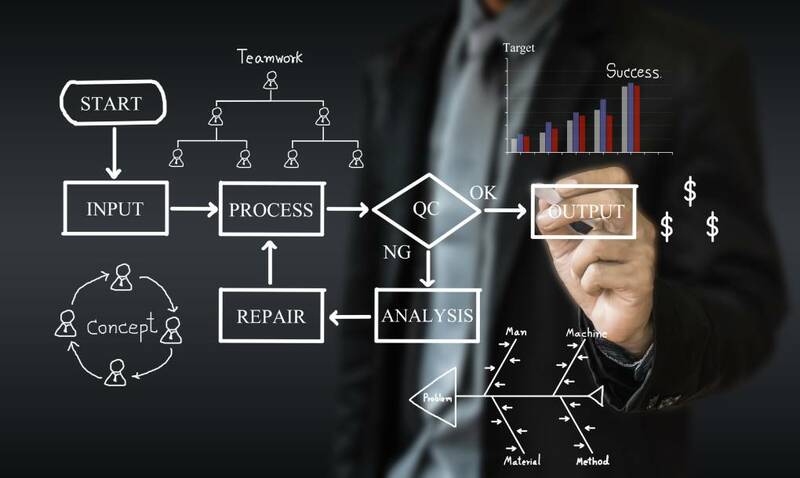 However, functional structures ignore the fact that products and services are delivered to customers through horizontal processes, that is key business processes that cross functional department lines and require cooperation from many departments. The key point to remember is that your customers care about the end-product/service that is the sum of all the functional outputs. For example, a hotel guest is only concerned about his or her room being ready not with the process that gets the right room clean and ready for a stay. A frequent flyer remembers on-time arrivals, not the fuel load or flight crew schedules. Customers focus on the ultimate outcome they desire. Yet over and over again that focus is lost. Sales is concerned with sales, engineering worries about engineering, purchasing protects its territory. Manufacturing makes things. Customer service fixes problems. Once in a while everything comes together. All too often everything falls apart, and your customers lose. Continuous improvement efforts should emphasize managing key cross-functional processes, rather than functional outcomes. The probability of meeting strategic business goals and improving the customer experience at lower costs is greatly increased.